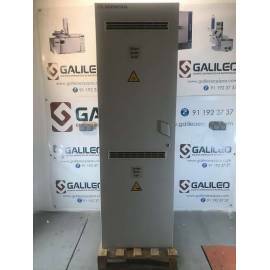 Autoclaves Galileo BKQ-BII Series. Models of 50, 75 and 120 litres. Pre-vacuum. Temperature 105 ºC to 136ºC. Precision ± 0.1 ºC. The working pressure of 1,75 Bar. Timer 0-999 min. Preset programs. Baskets 1 to 3, depending on the model. Printer. Filter-water inlet. LED screen. Internal circulation of steam/water. Lid opening type steering wheel, locking with board autostretch. 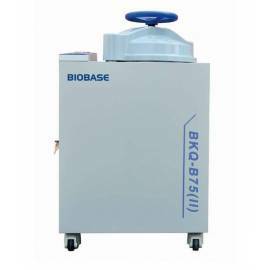 The process of water filling, pre-vacuum, heating, sterilizing, draining and drying functions automatically. 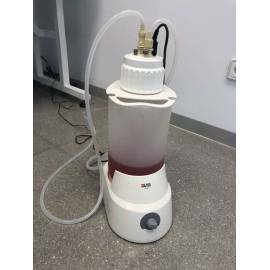 Vapor extraction selectable fast/slow to avoid overflow of liquids. 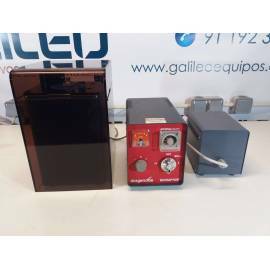 Safety Control: over-pressure, overheating, overvoltage, antisecado and door open. The price shown is for the model 50 liters. For larger volumes, select model drop-down. 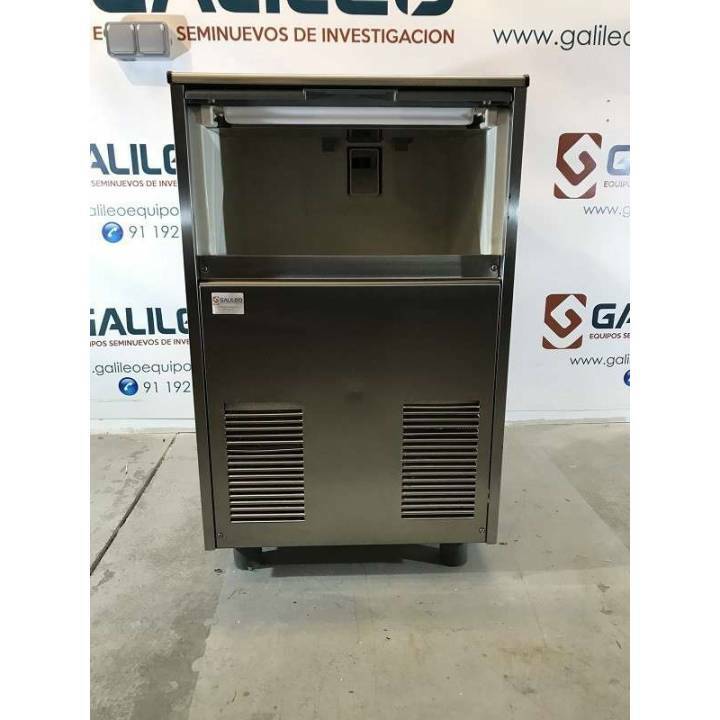 Bar Line F80 WS flake-ice machine. 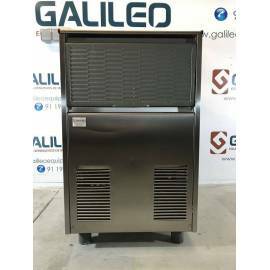 Maximum 73 kg production in 24 hours, with 25 kg of ice storage capacity. Stainless steel finish. 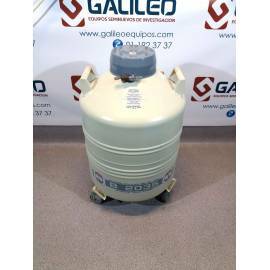 R 134a refrigerant. Legs included. Water cooled. Dimensions: depth – 630 mm, height – 920 mm, length – 530 mm. 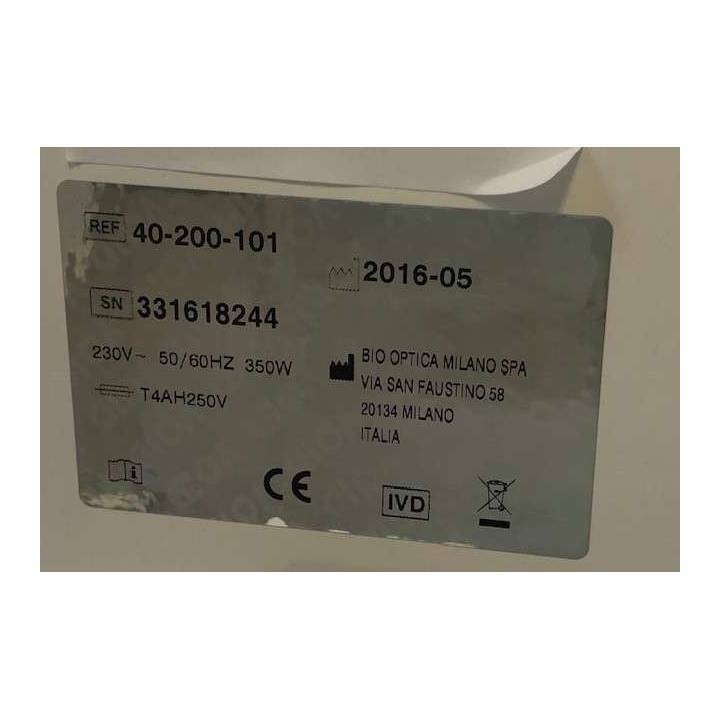 Paraffin dispenser Bio-Optica DP8R. Capacity 8 litres. Working temperature from +20°C to +70°C through electronic thermostat with microprocessor. Reading precision ±2°C. Control panel with digital display. Painted steel shelf support brackets, fully height-adjustable on a spacer rack. Stainless steel tank with cover. Heated base with black anodized surface. Paraffin dispensing system through a tap, which can be blocked in the open position. Programming possibility: Instrument starting and switching off, weekly. 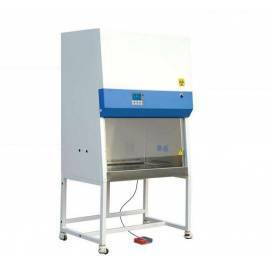 Biosafety cabinet BSC-IIA2. Class II - A2. Size externo130x75x225 cm (LxFxA). Turbine centrifuge with adjustable speed. Speed of upward flow 0.53±0.025 m/s, descending 0.33±0.025 m/s. air Recirculation 30/70 (extraction/recirculation). 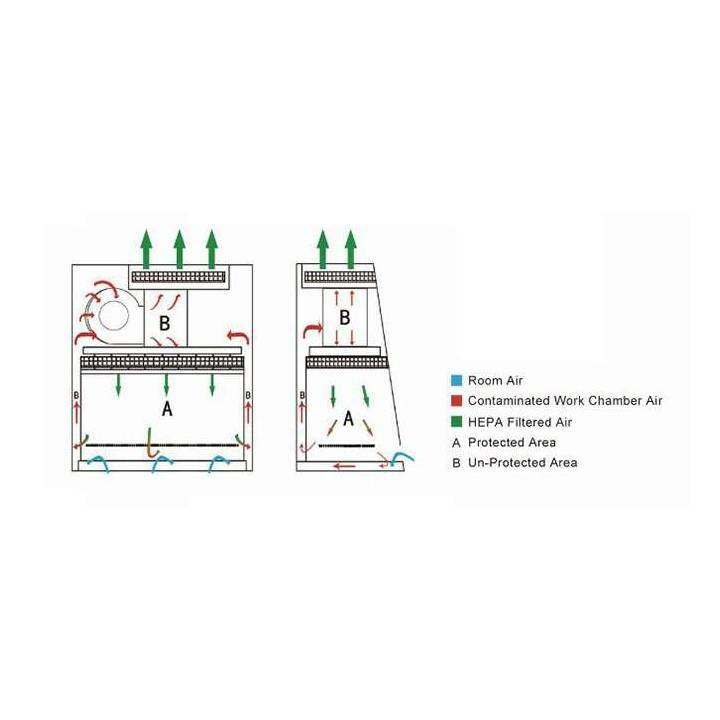 HEPA filter H14. Front window motor with double laminated glass. Interior of stainless steel. White light and UV germicidal. Two outlets inside. Remote control. 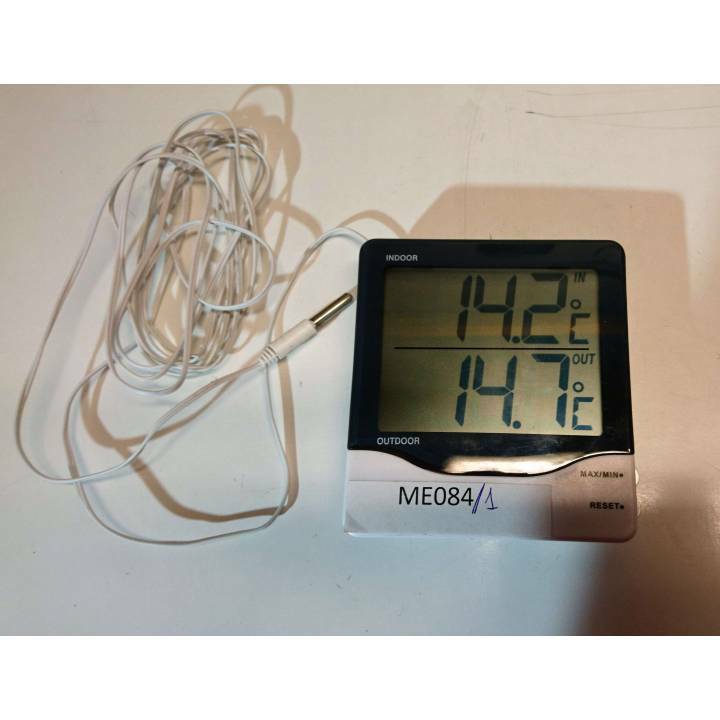 LCD Display with indicators of air flow, temperature and humidity of the work area, pressure filter, hours of the UV light, hours of use of the filter. Alarms air flow incorrect, replacement of filter and height of the front window. Andstructure of support included. Pedal to adjust the elevation front glass. 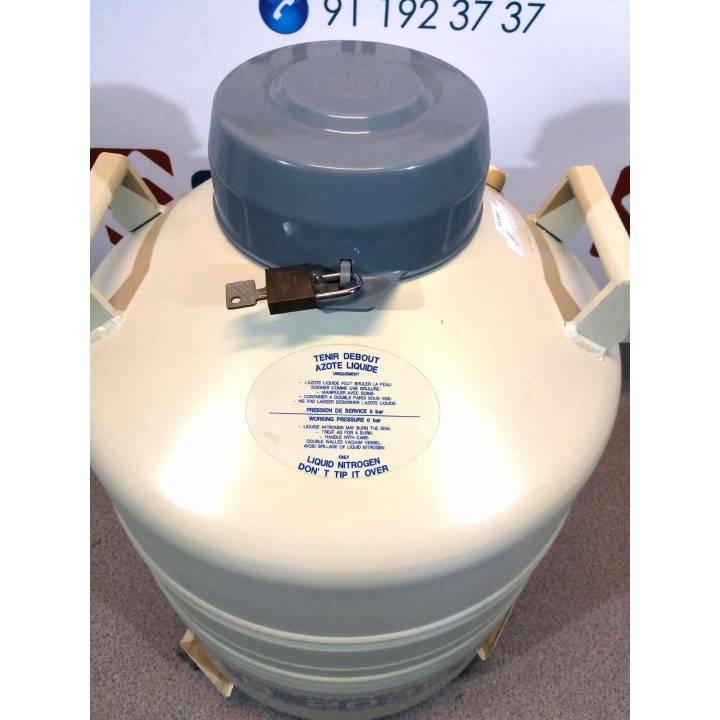 CRYO DIFFUSION B 2035 liquid N2 container. Capacity of 35 L. Stainless steel. Neck diameter 8,9 cm. Includes 6 canisters (6.9 cm diameter) and 12 goblets. Wheels for transport and security lock. Temperature Sensor with rtd Delta Ohm. Memory dual. 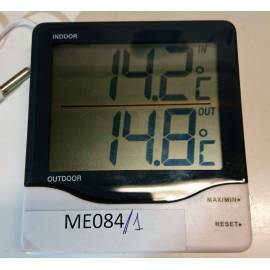 Screen digital LED indicating the indoor temperature (indoor) and exterior (outdoor). Manual selection of measurement in ºC or ºF. Reset button and establishment of maximum and minimum. 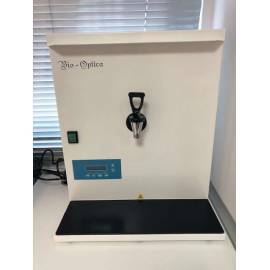 System of sonication Diagenode Bioruptor UCD-200. Bath volume of 750 mL. 3 levels of intensity of sonication: low, medium and high. Timer analog up to 15 min. Includes lid motorized for maintaining the tubes in continuous motion. Timer multi-range automatic ON/OFF. Includes manual. Mammalian cell counter ADAM MC. 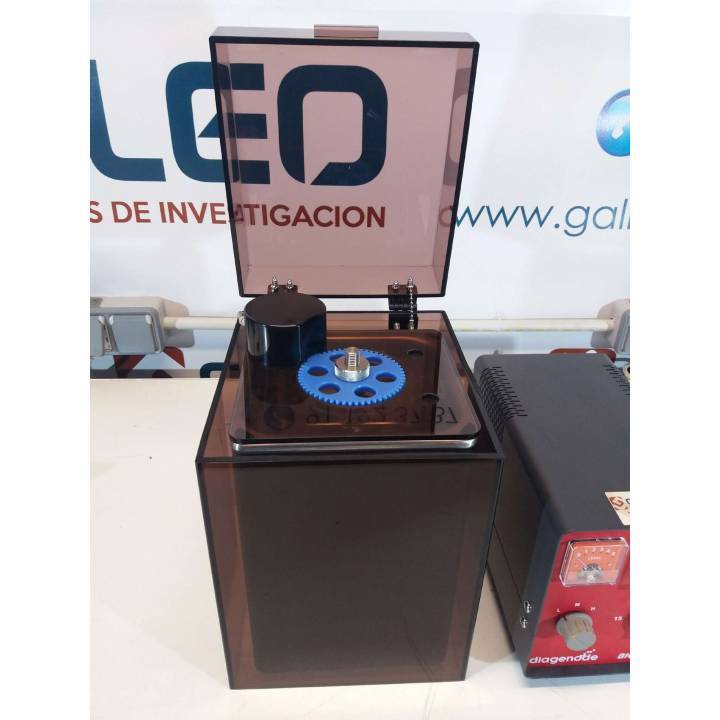 It combines a precision microscope with an optical fluorescence detection system and integrated analysis software. Thanks to the disposable chips based on propidium iodide to stain the nucleus of the cells, there is no problem with cell size, shape or aggregation. It averages 22 separate readings for each sample that add a reading volume of 3 μl. With R2 values greater than 0.99, the ADAM MC can replace manual cell counting. It is possible to obtain CVs below 10% with most cell lines. 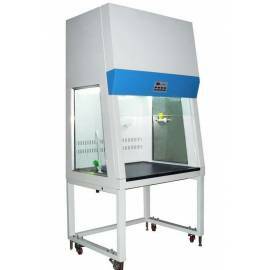 The ADAM MC works with different types of cells in suspension and provide cell viability values. 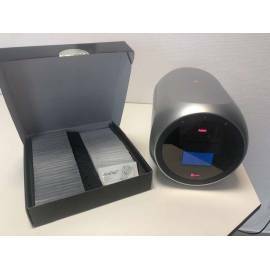 DLab SafeVAc aspirator. Vacuum range up to 600 mbar; 1mL/S to 15mL/ S aspiration speed. Bottle capacity 4 L. Sensitive level sensor to prevent liquid overflow during operation. Fully autoclavable waste collection bottle, tubing and handle. Lid, tubing and handle are easy for disassembling, cleaning and autoclaving. Interchangeable hand operator -tip adapters make it suitable for various tasks from single channel to 8-channel based on the applications in tube, micro plate, disk plate etc. Düperthal ACID Line M safety storage cabinet. For non-flammable media (acids/lye). Four pull-out shelves with 40 kg resistance per shelf. Collection volume of 18 liters. Polyethylene trays. It has a small chip on the back. Showcases of gases FHX Series. Models: FH1000X (width 1 m), FH1200X (width 1.2 m), FH1500X (width 1.5 m), FH1800X (width 1.8 m). Active carbon filter and/or extraction to the outside. Negative pressure. Flow rate adjustable from 0.3 to 0.8 m/s. Compensation of air to prevent turbulence. Front Panel machining with foot pedal actuator. Walls reinforced glass. Steel frame with painting antibacteria. Work surface with phenolic resin. Stack, faucet, gas outlet and plug interior. Alarm end of its useful life filter. 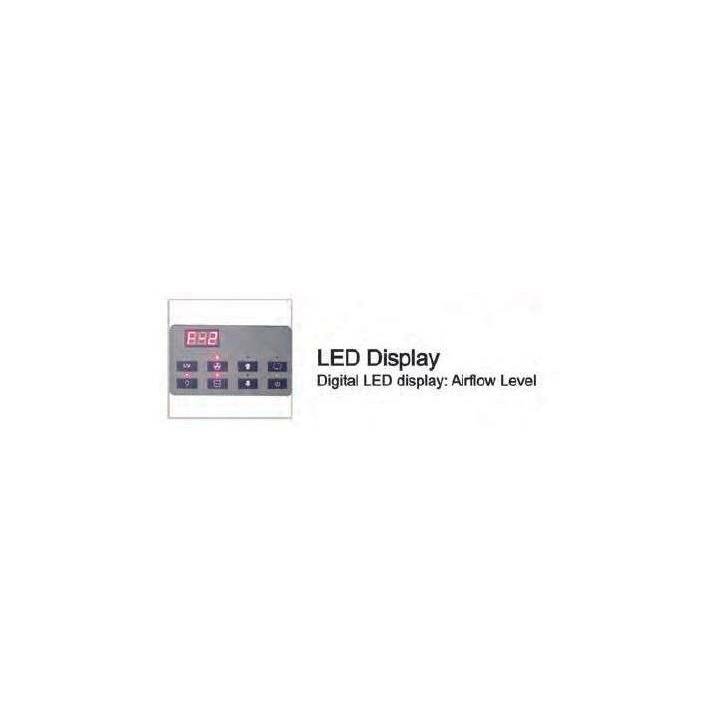 LED Display digital. Low level of noise. LED lighting and germicidal light. The price shown corresponds to the mboth FH1000X (width 1 m). For other models refer to drop-down. 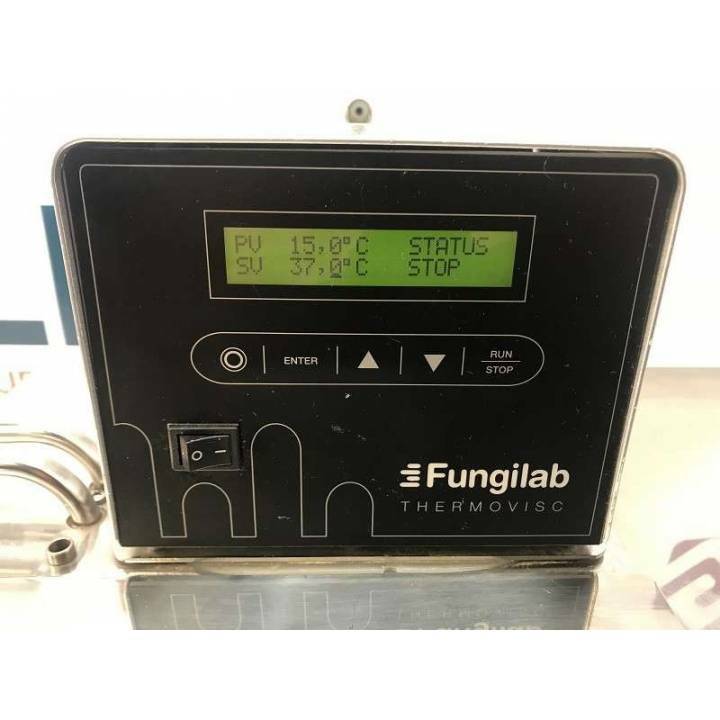 Fungilab Thermovisc 100-F8 Refrigerated Re-Circulation Thermostat. 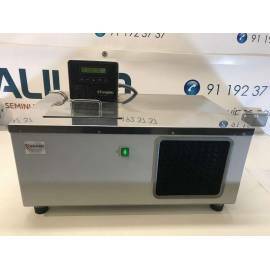 Working volume 8 L. Range -10 to + 100 ° C. Integrated cooling unit for measurement at 20 ° C without external cooling by circulating water. 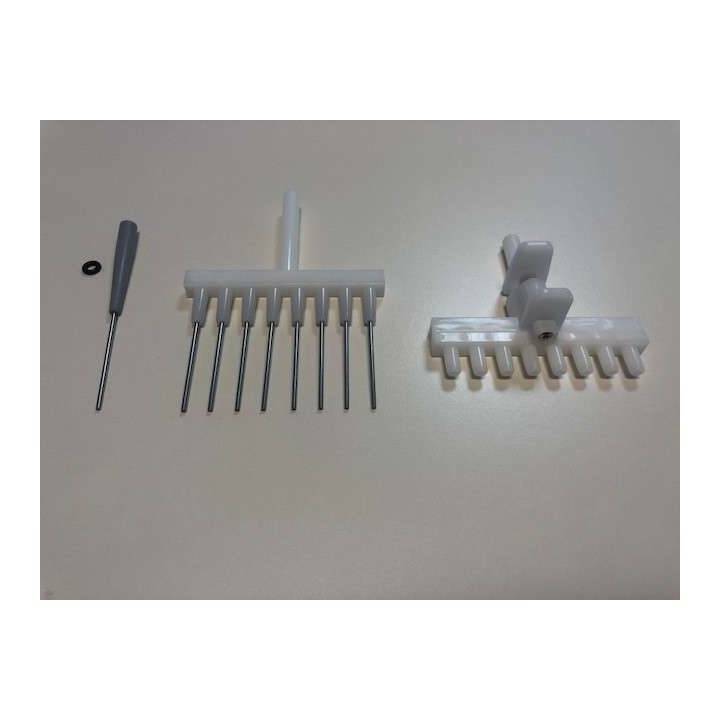 Stability ± 0.05 ° C to 100 ° C and ± 0.1 ° C to -10 ° C. Construction adapted to the rotary viscometer Fungilab: the measuring head fits perfectly on the sample holder. Integrated support for 2 beakers 600 mL. Opening 94 mm with locking device. Used to thermostate a second sample while measuring on the first. User manual.